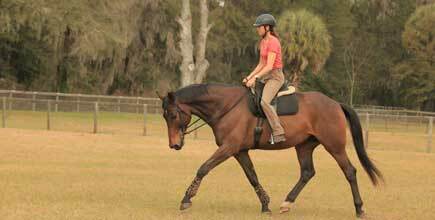 Artful dressage is sharing a dance with your horse that neither of you can do alone. Do you want a horse that is supple, straight, and powerful? Do you want to be able to make training plans? Would you like to master the 6 Essential Gymnastic Abilities, no matter what level you are? Do you want to progress as far as you can, but still keep Partnership the priority? The Upward Spiral of Successful Gymnastics course is the logical progression for students coming from The Sweet Spot course. In this course we will go deeply into the process of gymnastic development, and create a horse that is supple, straight, and engaged. Ready to start your Dressage Naturally Journey? Go back to the Home Page to see your other options. The Habits For Excellent Horsemanship course is always open, and the Finding The Sweet Spot course opens mid-September and mid-March! The Upward Spiral Course is way more than just a list of exercises & movements. Karen focuses on teaching you the 6 Essential Gymnastic Abilities that are the key to advancing up the levels with ease. In this system, riders of all levels can start practicing these Abilities right away, and will learn how to adapt them to their individual horse. You will be given new ways to think about the art of gymnastic development, and will learn about exercises for Flexibility, Mobility, & Collectibilty. We also will address mindset, how to strategize, how to make training plans, keeping your horse happy, and measuring your progress. In the Upward Spiral Of Successful Gymnastics course, you will be supported by Karen and your community of like-minded students as you continue your journey of challenging and developing yourself and your horse to be the best you can be, from partnership to piaffe! I’m an instructor and have shown up to Prix St.George, and there is crucial information here that you don’t get with local dressage instructors or even well known clinicians. 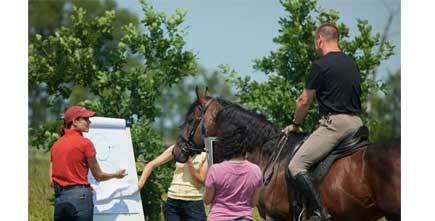 It’s more and better than what is required for USDF instructors and USDF judges to learn in USDF courses. For me, the course has filled in many gaps in 25 years of showing and teaching dressage. It's not only for riders just starting out in dressage; it has pearls of wisdom and handy tips for advanced dressage riders. I saw huge improvements in my horse’s balance and collectibility. There is a much better connection through the reins for both of us. 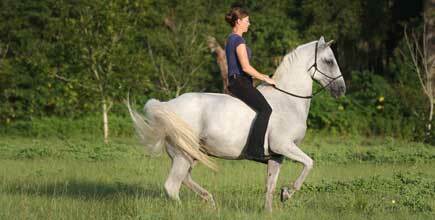 My horse much more powerful and I feel brave enough to ride her in that charged up mode and posture. I experienced big improvements in the subtlety of communication between us. This course takes all you learned in the Sweet Spot course to not just the next level but exponentially increases your understanding of the benefits of gymnastic exercises. Karen presents the information in a way that makes a great transition from the basics to the most advanced and everything in between. After being frustrated riding with many instructors and international level clinicians, Karen Rohlf for now is the instructor I turn to and I have signed up for another round of USS. She gets the bigger picture and not just the mechanics of dressage. She has an appreciation for both rider and horse that brings the two into a harmony of body and spirit. Go for it! It is the next logical step and there is sooo much information. It will take you and your horse to another level, yet it feels like fun! It really feels like we are dancing together. We are much better at being able to retain relaxation even when doing challenging things. I have learned not to ask for too much for too long, and to give lots of reward and release. I became more analytical and a more focused and thinking rider. My horse became more supple and more confident.We developed more confidence in each other and to try new things. I have more self confidence that even if its not good just now, at least I know where we are going and it is getting better…aha…confidence to teach myself…. DO IT!… Karen takes you stage by stage so although there is a lot of information it is not overwhelming. Take it!… Plain and simple, there is a lot of information… a lot of exercises, a lot of leeway for any level of horse and rider to understand and improve. Get Real! Do it! Fantastic! Loved it, the most professional course I have ever seen. 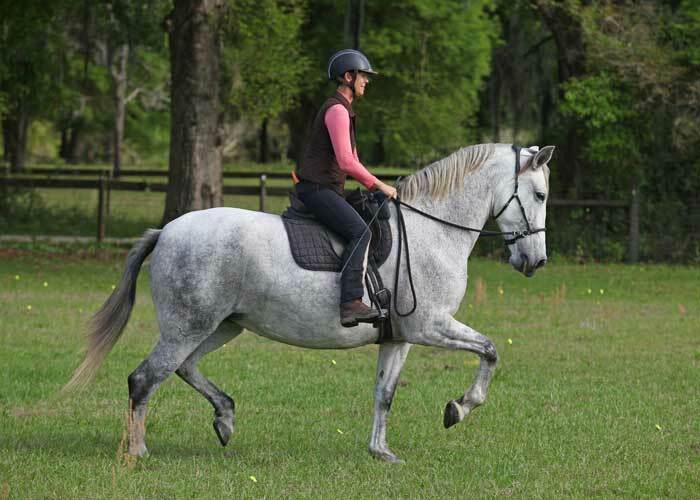 A master of organizing complicated information in a way that students can really learn, Karen realized that there were 6 Essential Gymnastic Abilities that every horse and rider need to have in order to do all dressage movements with quality. You will not see dressage explained quite like this anywhere else! These Abilities are the difference between meeting the criteria of a movement, or really being able to get to the essence of the movement. These Abilities will help you get the most out of every exercise you do and will be the difference between just moving around or really gaining gymnastic benefits! Open to graduates of the Sweet Spot of Healthy Biomechanics Course only. Review ‘where are we now?’, boost your confidence in finding the sweet spot, and set yourself up to ride in precision, whether you have an arena or not. A BIG module! There is a ton of information here that will give you many different perspectives. You will leave this module with BIG insights into theories for gymnastics!! You’ll also get your horse, and yourself primed for riding patterns. Skills that will help you get the most gymnastic benefit out of every exercise you do. You will not seen this information organized like this anywhere else! It’s the key to maximizing the gymnastic benefit of a pattern or movement. Learn how to get advanced-quality skills from the beginning. Learn some of my favorite exercises, and understand why to do them. You will learn how to choose an exercise in order to create more suppleness or straightness or engagement. Learn how to make an exercise more basic or more advanced, and gain confidence in making those decisions for you and your horse. 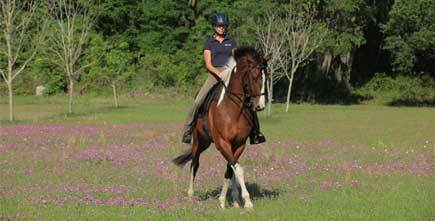 There are many ways to increase your horse’s skills in dressage without always doing dressage! You will learn ways to add variety while still moving toward your goals. 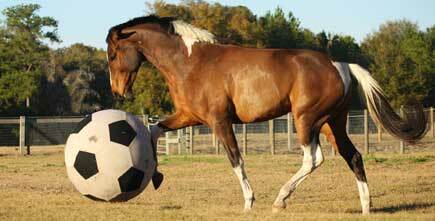 You and your horse will be happier and more well rounded athletes. The next level of exercises and patterns. This course will serve you in years to come; you will see how exercises build into more advanced patterns. You will be challenged to progress, yet will still be able to adapt each exercise to fit you and your horse's actual level. This course is open to all graduates of the Sweet Spot course who are ready to move on. Students often get stuck attempting to ‘perfect’ the lowest levels, but every trainer will tell you that Training Level gets better when you start playing with First Level, and First Level gets better if you start playing with Second Level, and so on. Evaluations and other information are available at the end of the Sweet Spot course to help students decide when they are ready to move on to the Upward Spiral course.